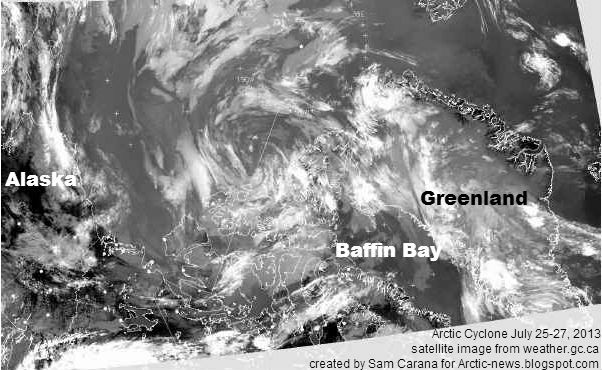 A cyclone is raging over Arctic. Below, a Naval Research Laboratory animation showing ice speed and drift over 30 days. 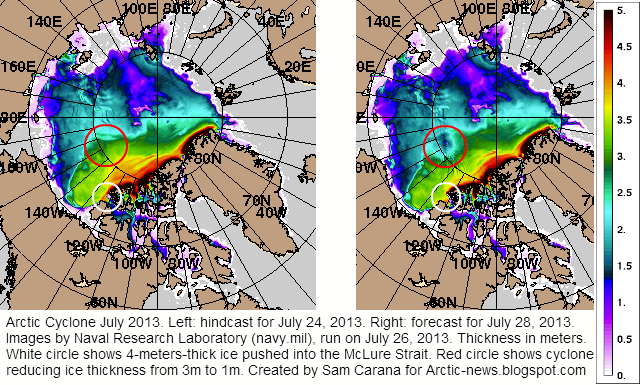 The impact of the cyclone is also clearly visible on the Naval Research Laboratory ice concentration animation below. It's highly likely Arctic N Pole station is off of location..
And I wouldn't want to be out there looking for thin spots in the ice in large puddles with hip boots on just to prove how deep the water ice goes. But all things considered, Hip boots are needed in Political world today too and that of War on grand scale. There is a perfect storm upon us and it's plain Equator to pole shift of heat transfer is in flux along with the linking of troposphere to region above. This will negate former NOT.. This refers to what the gentleman in previous post says concerning calcium carbonate deposition in Sea limiting capability for Venus like shift of Earth to high temperature status.